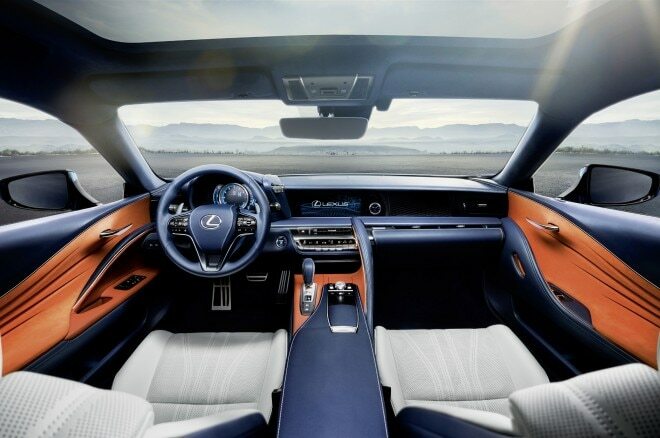 New Multi-Stage Hybrid debuts in Geneva. 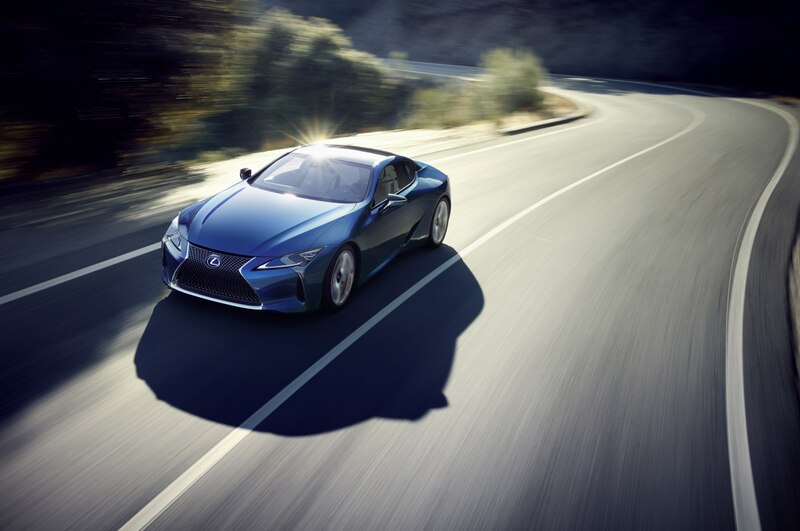 We knew it would have the same gorgeous shape as its V-8-powered progenitor, and now we know what will power the upcoming Lexus LC 500h hybrid sports car. 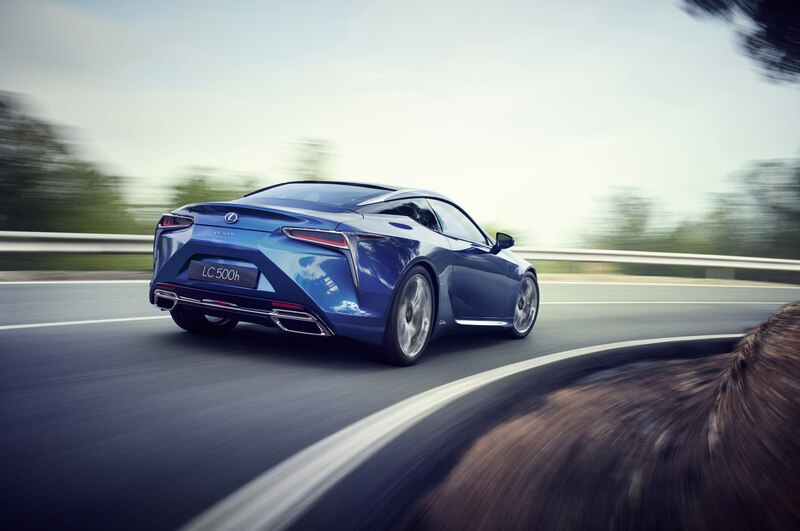 The car is the first use of a new Lexus Multi-Stage Hybrid powertrain, which is said to allow the LC 500h to sprint to 60 mph in under five seconds thanks, in part, to a somewhat unconventional driveline. 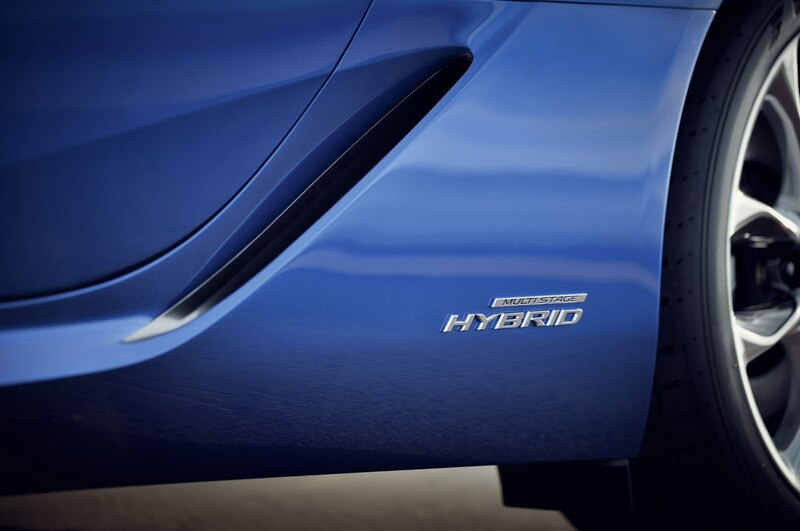 The new hybrid system uses a 3.5-liter V-6 engine rated for 295 hp and 257 lb-ft of torque. It’s complemented by a 45-kw electric motor, fed from a rear-mounted lithium-ion battery pack, and both the engine and motor send power through a four-speed automatic transmission (no, that’s not a typo) to the rear wheels. 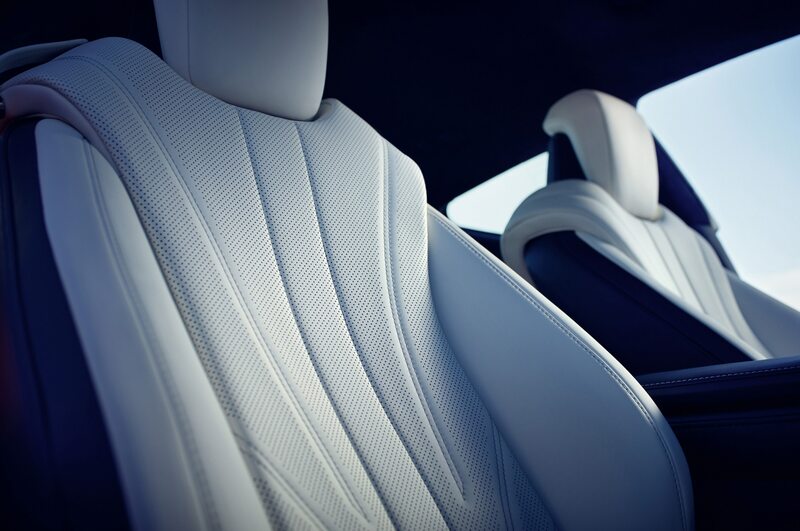 Total system output is 354 hp, giving a claimed 0-to-60-mph run of under five seconds. That’s as compared to the regular LC 500’s 468-hp, 5.0-liter V-8 engine and ten-speed automatic transmission, which rocket the car to 60 mph in 4.5 seconds. 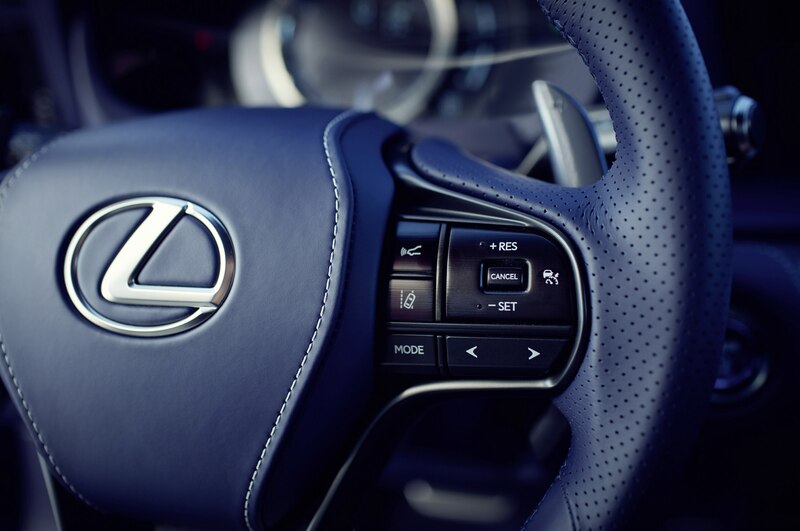 Lexus says using the four-speed automatic transmission means that engine rpm “more closely aligns” with the driver’s inputs under acceleration, giving a more direct feeling between the right pedal and the car’s performance. 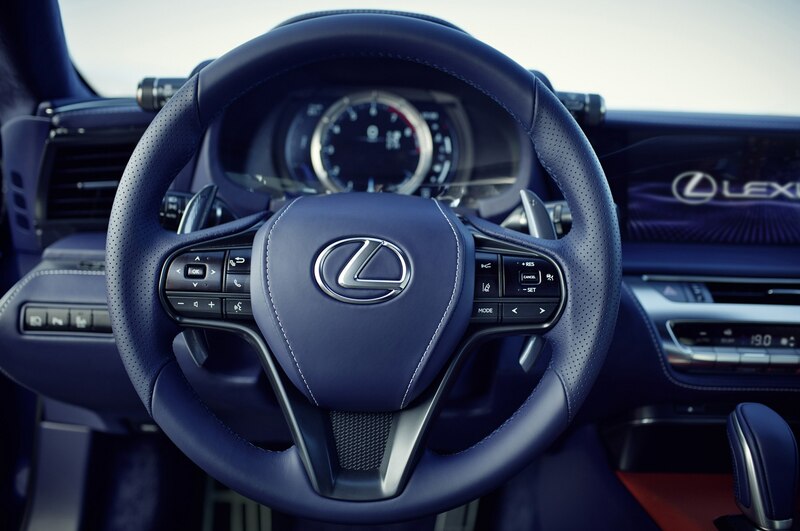 In other words, drivers will actually see the tachometer moving in a natural manner as they wring out the car’s engine. 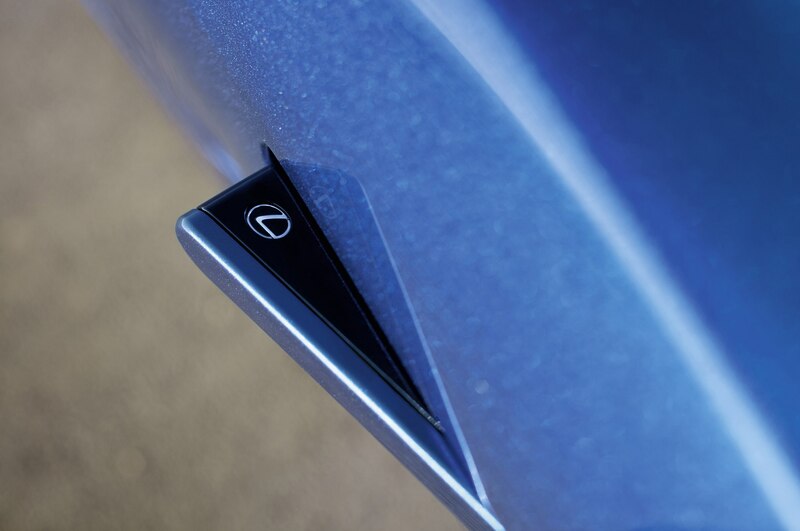 The LC 500h also has an M mode for its transmission, marking the first time a Lexus hybrid has ever allowed manual shifting. 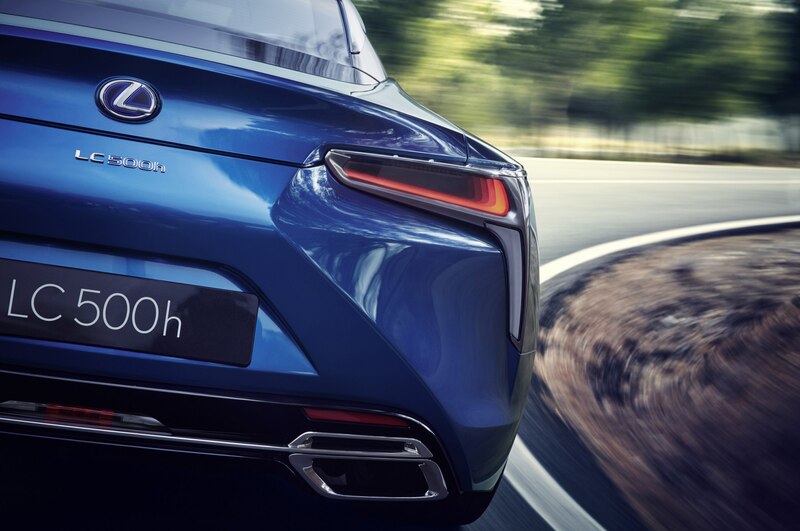 And because the new motor and lithium-ion battery are lighter and more compact than in past Lexus hybrids, the company says adding the automatic doesn’t make the overall powertrain any heavier than other hybrids. 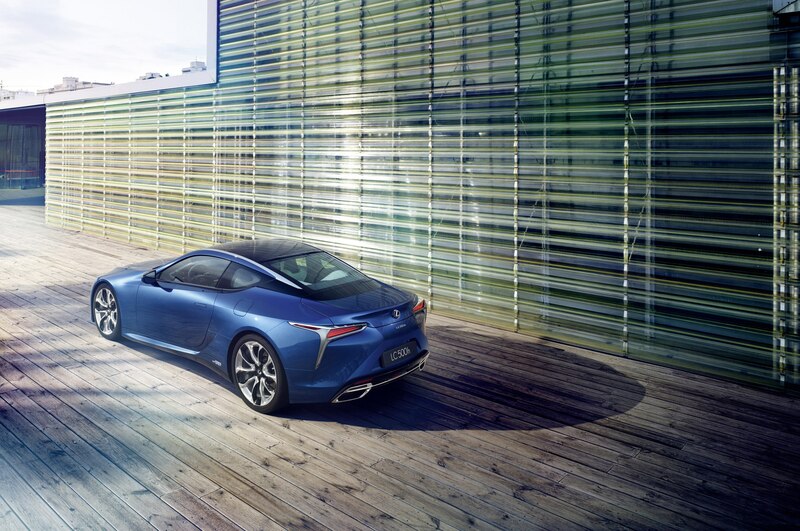 Aside from the powertrain, the Lexus LC 500h in other respects closely mimics the V-8 version. 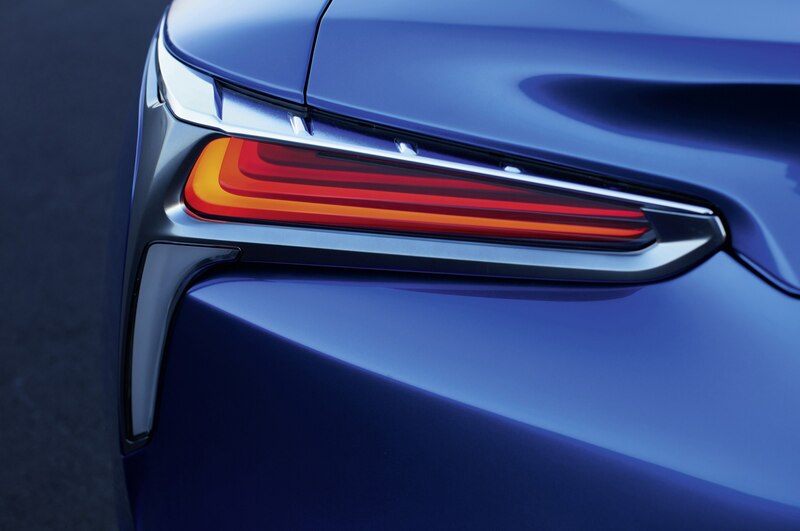 With cues drawn from the 2012 LF-LC concept, it has a low, wide coupe design, with bold lines and creases, LED lighting, and 20- or 21-inch wheels. 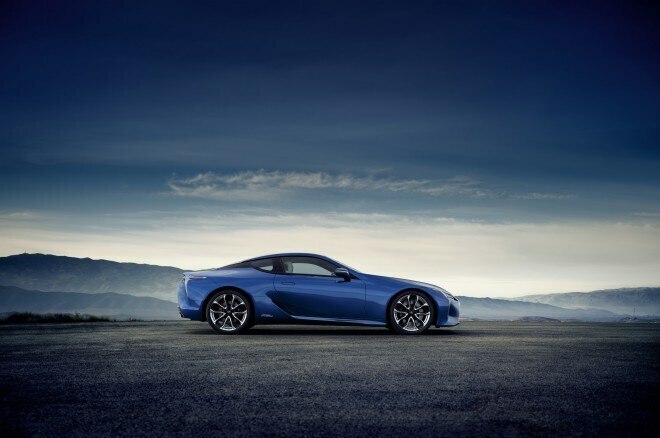 Built on the new Lexus GA-L rear-wheel-drive luxury-car platform, the LC 500h uses an aluminum for the hood, door skins, and front suspension towers, and carbon fiber for the door structures, trunklid, and roof. 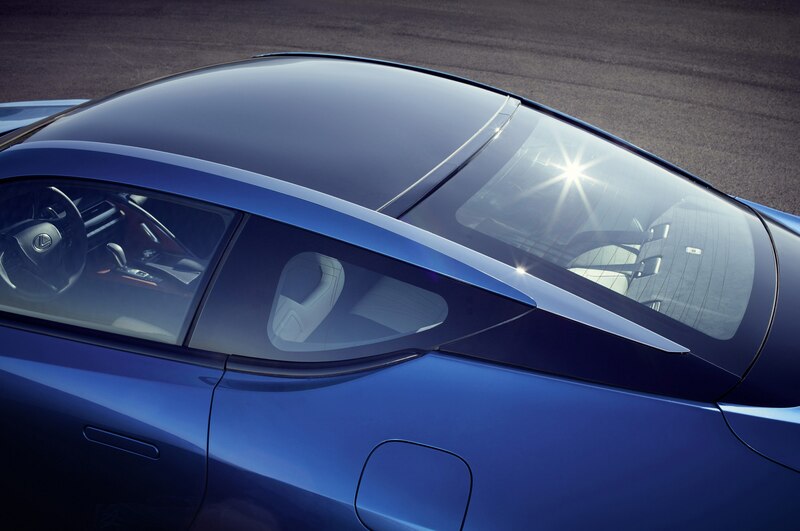 The multilink suspension was lightened to reduce sprung weight as much as possible. 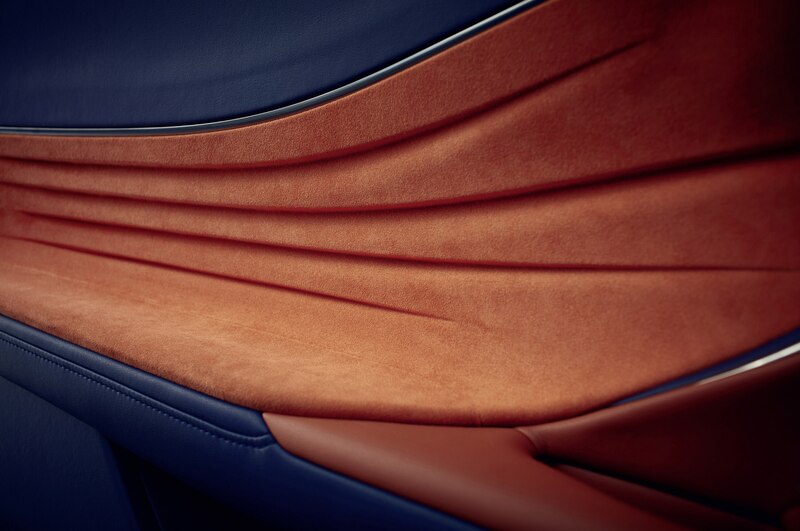 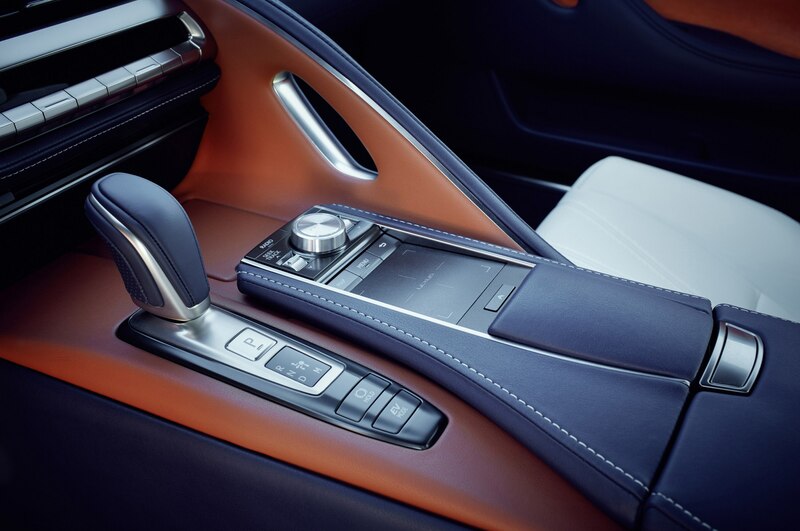 Within the cabin, the Lexus LC 500h has luxurious leather trim, magnesium-alloy shift paddles, a digital instrument cluster inspired by that of the LFA supercar, and a new touchpad for controlling the Lexus Remote Touch Interface infotainment system. 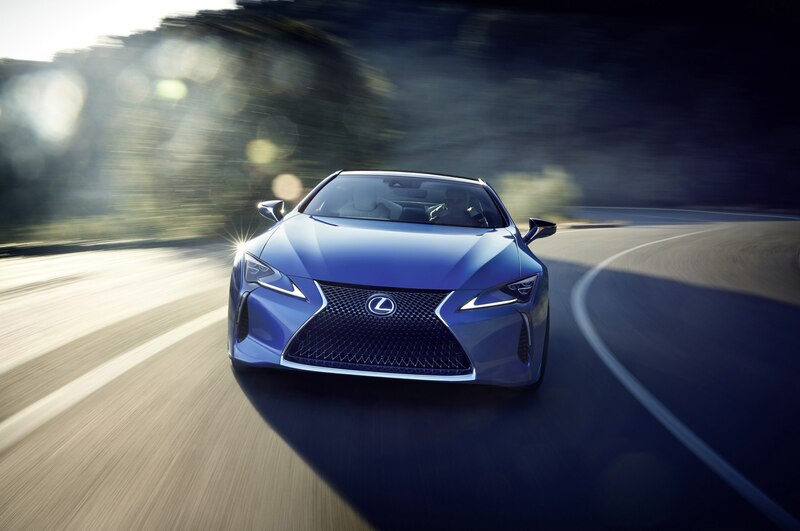 The Lexus LC 500h is, like its V-8-powered sibling, a fully realized production model. 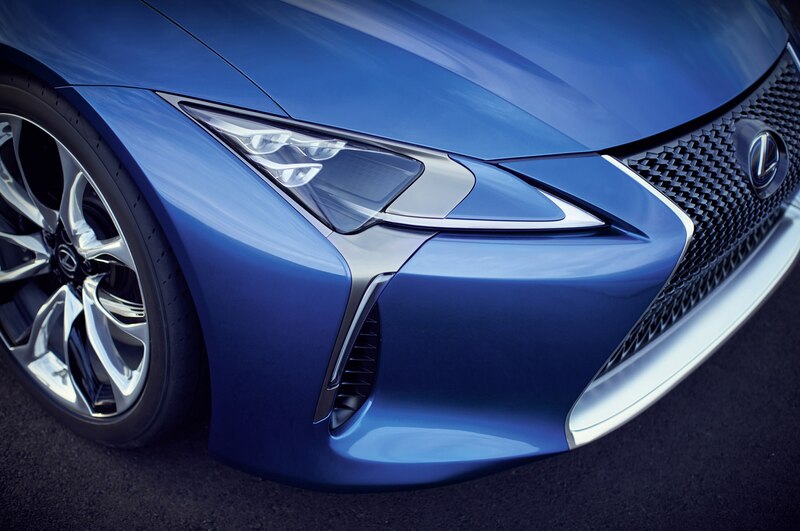 Though no pricing has been announced yet, Lexus has said that the regular LC 500 won’t be a six-figure car. 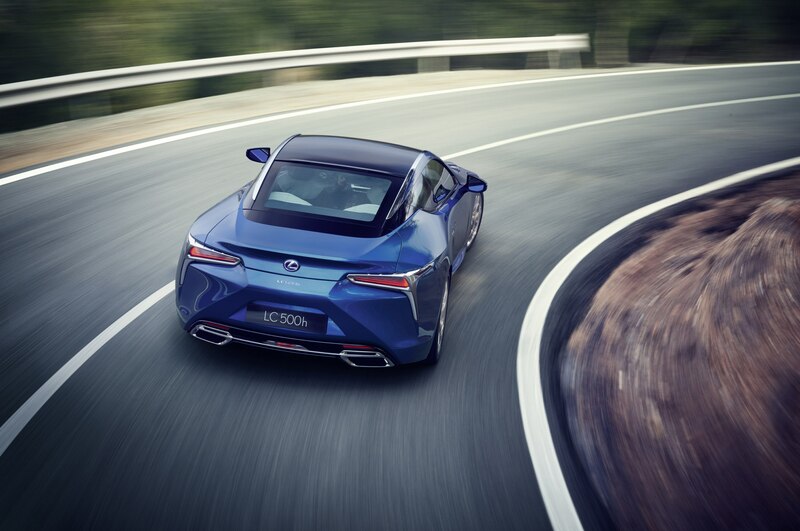 The addition of hybrid technology to the LC 500h will almost push the sticker price higher, though we don’t yet know for sure whether that means it will break the $100,000 mark. 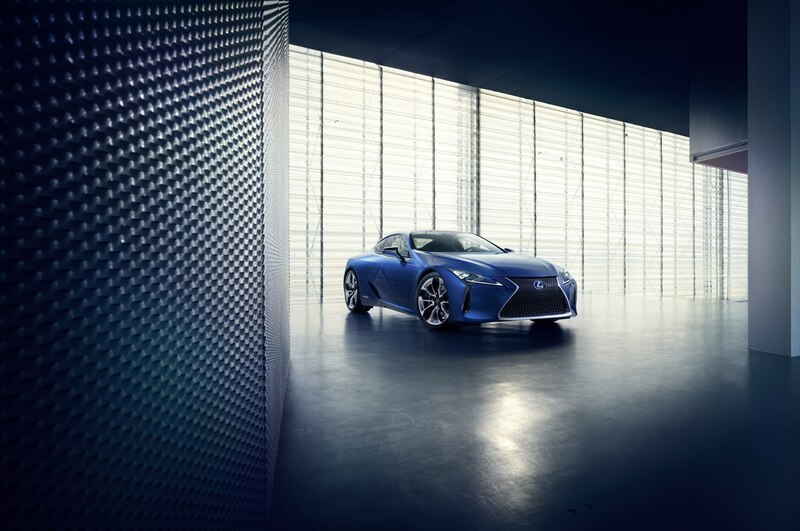 Both cars are expected to go on sale at the same time in spring 2017 as 2018 models. 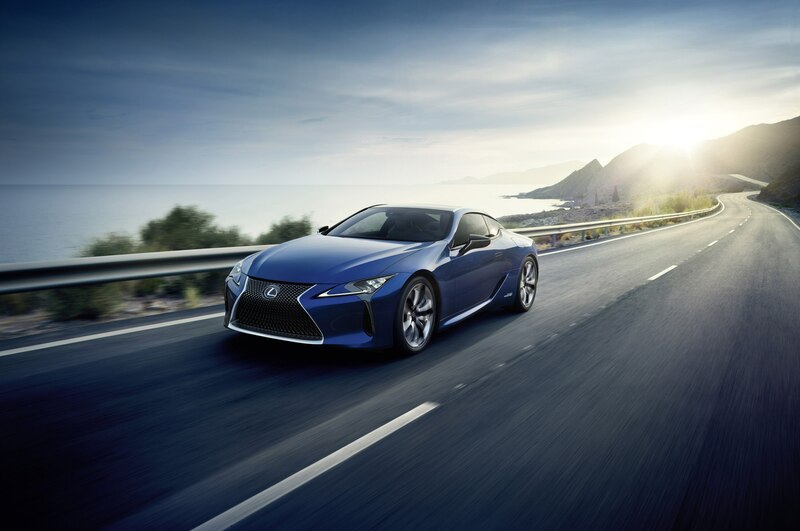 Look for the Lexus LC 500h at the Geneva show next month.